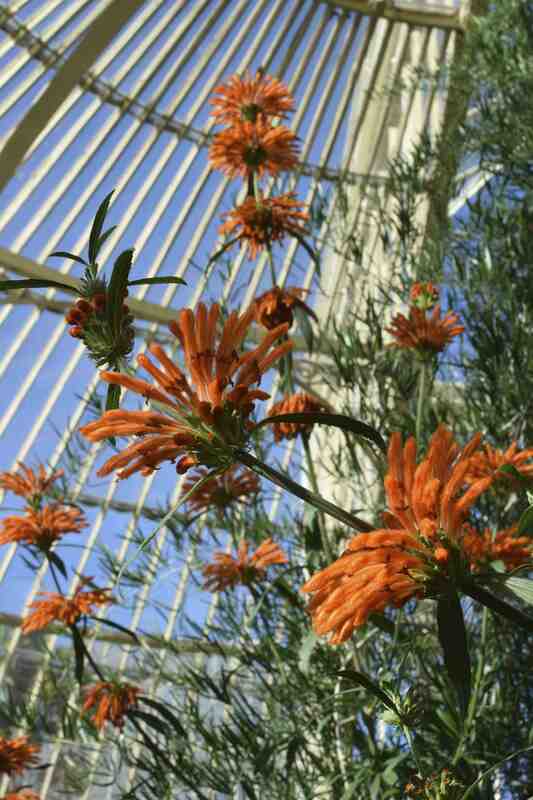 I first grew Leonotis leonurus many years ago and kept it going for many years, cutting the shrubby plant back in winter when the potful was sheltered in a cool greenhouse and taking cuttings in spring to make new plants. It was all a bit of a palava for a plant that only started flower in late September and often was at its peak when the first frost threatened to kill the flowers. Later I always kept a plant in the greenhouse to protect the late flowers and that worked really well because the blooms could open to perfection. The whorls of long, furry, rusty orange flowers, one above the other on tall, slender stems do have a look of a lion’s tail about them so it is no surprise that its name refers twice to lions. 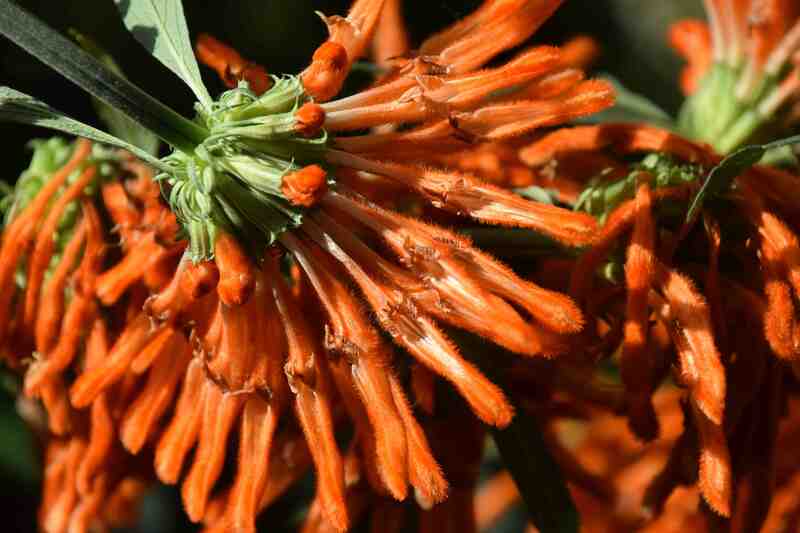 In fact the botanists have really got their knickers in a twist over this one because leonotis means lion’s ear and leonurus means lion’s tail. 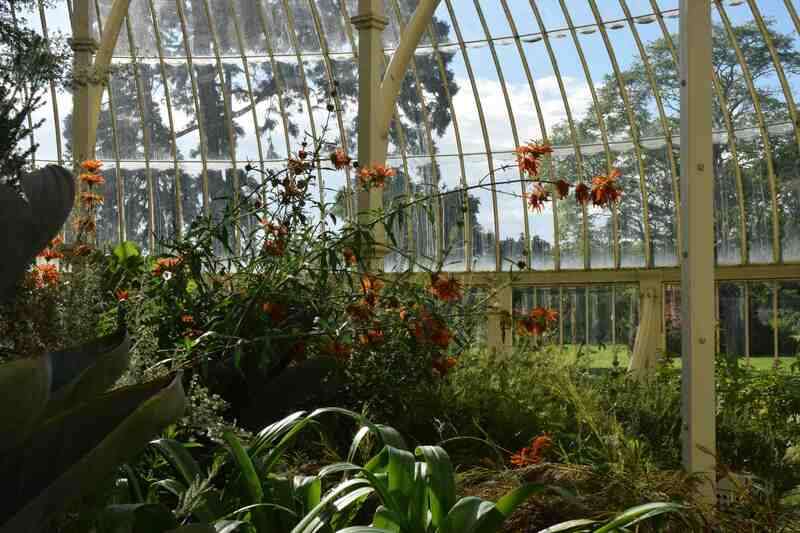 At Glasnevin, in the South African section of the curvilinear range, it was looking at its glorious best, romping over and among strelitzias. In South Africa it is called wild dagga or wildedagga and has medicinal uses. This tall, colourful plant is not tricky to grow if you remember it needs full sun and protection from frost. So in Ireland it may do well as an outdoor plant where you get little frost and can give it a sunny wall to grow against.